Are you looking for: Nerf Modulus, Nerf Elite, Nerf N-Strike, Nerf Zombie, Nerf Accustrike, Nerf Doomlands, Nerf Mega, Nerf Star Wars, Nerf Dog Toys, Nerf Rebelle ? 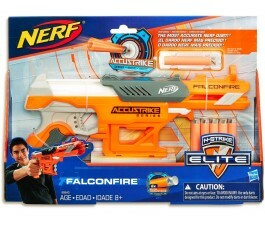 Nerf N Strike is a brand of toys manufactured by Hasbro. Included in its Nerf N Strike range are guns for both girls and boys, meaning your little girl can show the boys that they're just as dangerous with a weapon. 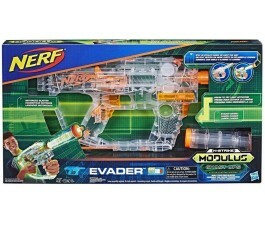 You'll find Nerf Accustrike weapons in children's toy boxes all over the world – well, you'll more likely find them on the floor next to the toy boxes because kids just can't seem to put them away. Plus, if you're looking for a Nerf Accustrike in Australia at an unbeatable price, you've already come to the right place.